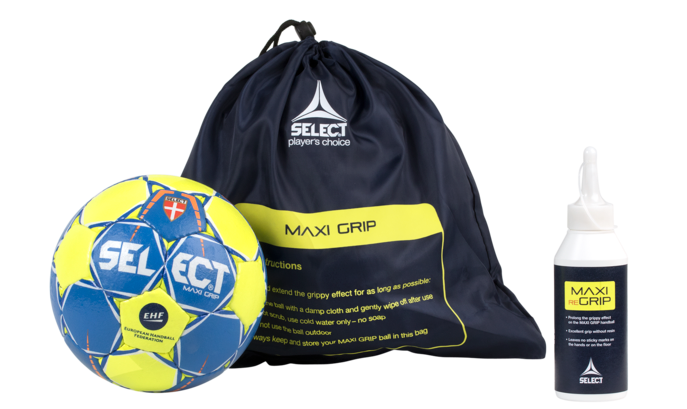 SELECT has spent the last two years developing a handball with a sticky surface, and as the first company in the world we are proud to have reached the goal with the introduction of SELECT Maxi Grip. 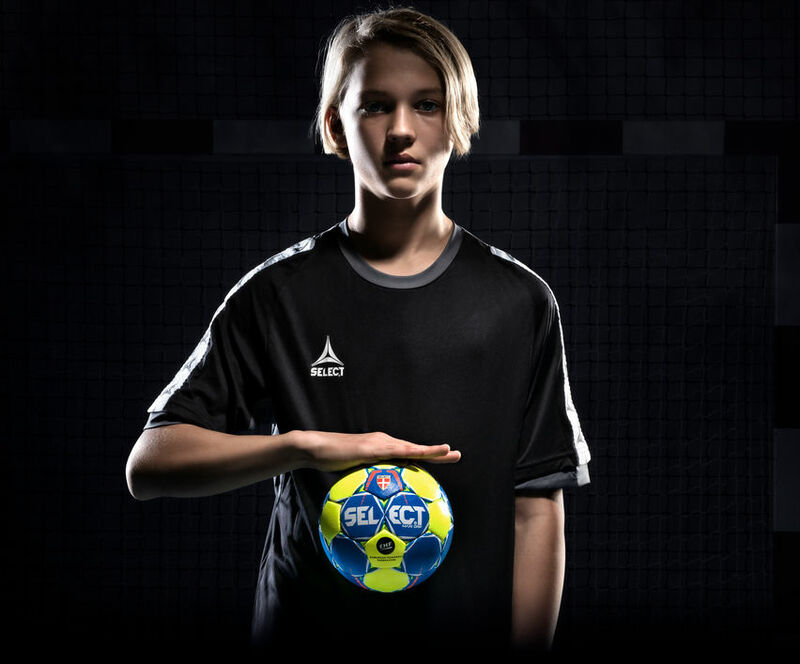 SELECT MAXI GRIP wins the ISPO 2018 Award: "Product of the year"
The jury has chosen the MAXI GRIP because the innovating ball is giving kids and youth talents the opportunity to play with sticky handballs without any use of resin. As a result, players who are not allowed to use resin (children and players in resin-free halls) can finally play with a ball with a sticky surface. 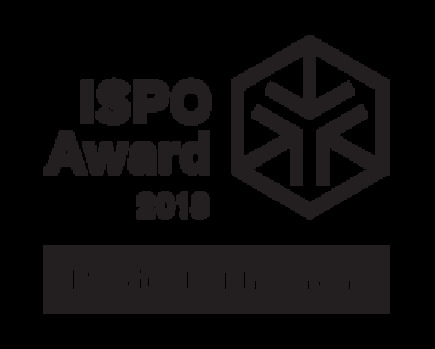 With the annual ISPO Award, an independent specialist jury awards prizes for the best sport products for the coming season. The most innovative products in the Health & Fitness, Outdoor, Snow sports, Urban and Team & Social Sports segments are chosen from around 500 entries. The award is given to the SELECT MAXI GRIP in the category “Team & Social Sports. how to use Maxi reGrip? SELECT MAXI GRIP adds completely new features to the handball because of the unique sticky surface that provides excellent grip around the ball without the need of resin. The ball meets a major requirement from coaches and players in all age groups as well as less work, cleaning the floor. The surface of the MAXI GRIP handball is sticky when you catch the ball, but when you release it, your hand remains clean with no traces of adhesive. MAXI GRIP is also a solution that does not leave traces on hands or sports floors, which now enables players who are not allowed to use resin (children, youngsters and players who play in arenas where resin is forbidden) to get the chance to play with a ball with an adhesive surface. The sticky surface will raise the game as MAXI GRIP enables a better ball game and a faster pace. A sticky grip is also a benefit for e.g. the pivot player, who typically receives the ball in fast, tight turns, and for practising the complex finishing skills that i.e. children watch the professionals do.The SELECT MAXI GRIP ball can be an alternative also for players who normally use resin on the balls, however, when the surface on the ball becomes damp from e.g. water or sweats the sticky effect is reduced. Cleaning a SELECT MAXI GRIP handball is simple and should be done gently. A gentle wipe with a damp cloth removes any surface dirt. The adhesive feature returns as soon as the ball is dry. It is important to clean the ball carefully to retain the stickiness for as long as possible. The stickiness will diminish after longer periods of training and play. We have developed MAXI REGRIP to prolong the grippy effect on the MAXI GRIP handball when the original stickiness diminishes. 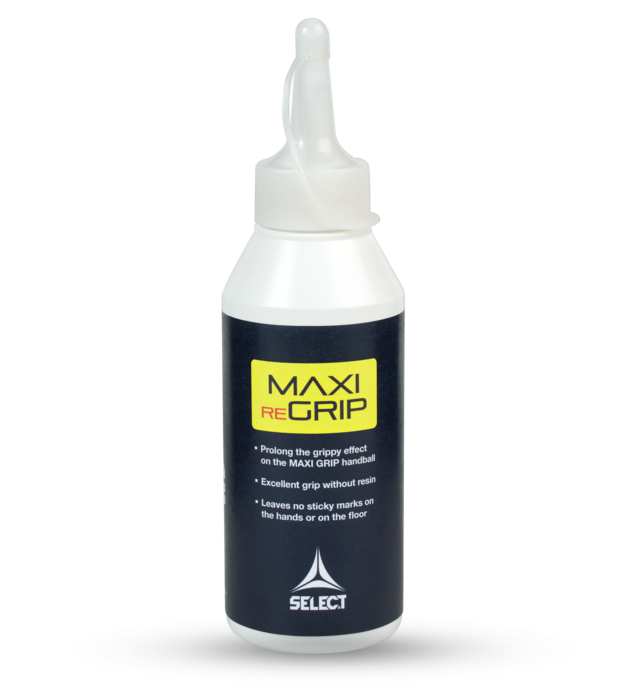 MAXI REGRIP is easy to apply and provides an excellent grip. It contains no harmful substances and leaves no sticky marks on the hands or on the floor. 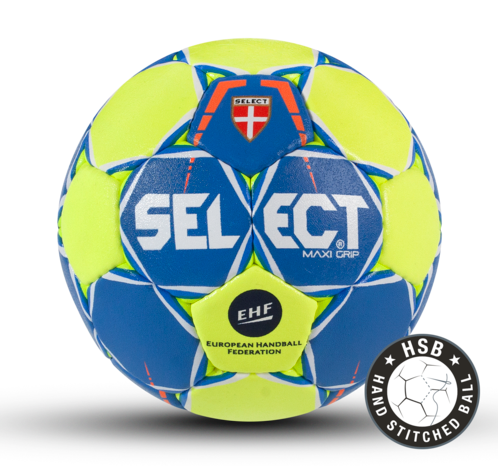 Under the MAXI GRIP surface, the handball has the well-known and highly renowned SELECT features. MAXI GRIP is a good match- and training ball, which is made from an HPU material and is available in four sizes. When the stickiness goes off after a period of time, the player still has a high-quality handball. The ball is completely safe and has been tested by SGS (one of the world’s largest companies within testing and certification) for harmful materials.